Reserve Bank Governor Raghuram Rajan today left interest rates unchanged in his last monetary policy on inflationary pressures but said the central bank’s stance remains “accommodative”. 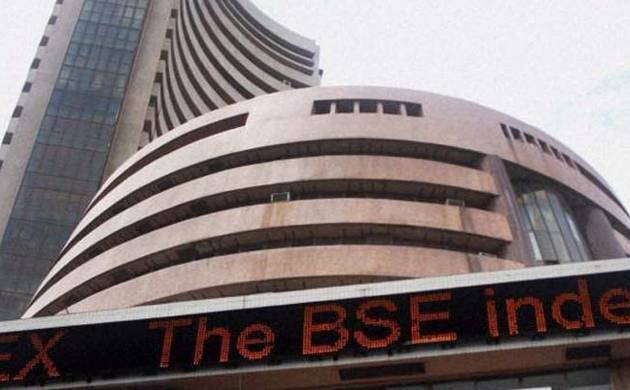 Market benchmark Sensex today fell over 97 points, halting its three-day rally, and NSE Nifty slipped below the 8,700-mark as investors booked profits after the RBI maintained status quo in its monetary policy review. The rupee weakening by 14 paise to 66.98 (intra-day) against the dollar during the day also weighed on the trading sentiment. The 30-share index declined by 97.41 points, or 0.35 per cent, to 28,085.16 after shuttling between 28,289.96 and 27,956.77. The gauge had gained over 485 points in the previous three sessions on positive global cues and the passage of long-pending Goods and Services Tax (GST) Constitutional Amendment bill by Parliament. The wider National Stock Exchange index Nifty broke below the 8,700-mark and hit a low of 8,638.20 before settling 33.10 points or 0.38 per cent to 8,678.25. Intra-day, it touched a high of 8.728.35. “It was a volatile day on the bourses as key benchmark indices reacted to RBI Governor Raghuram Rajan’s last credit policy. Markets, however, traded in the negative zone and closed the day with losses of more than 0.3 per cent,” Shreyash Devalkar, Fund Manager Equities, BNP Paribas Mutual Fund said. Sectoral performance was mixed with media and PSU banking stocks attracting buyer interest and healthcare, FMCG and metal stocks bearing the brunt of the bears, he added. The RBI left the short-term lending rate, or repo rate unchanged at 6.50 per cent, and the cash reserve ratio static at 4 per cent. The central bank also retained the GDP projection at 7.6 per cent. Out of the 30-share Sensex pack, 21 ended lower, while nine led by Coal India, ONGC, SBI, Hindustan Unilever, Axis Bank, Infosys and Dr Reddy’s finished higher and cushioned the fall.